Due to the specialized study required beyond a standard four-year degree, medical professionals are often hit with high educational expenses. While the personal satisfaction that comes from a career in chiropractic certainly outweighs the cost, tuition can be a significant financial burden. That’s why Perfect Patients offers a scholarship twice each year to students who are pursuing their dream of becoming a chiropractor! 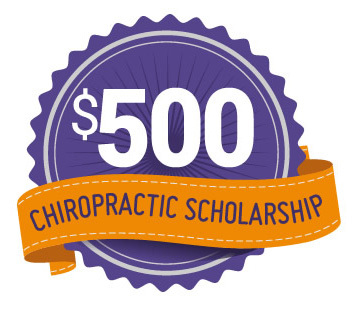 If you’re considering a career in chiropractic or you’re already a DC2B at one of over 30 chiropractic colleges around the world, you might be eligible for one of two annual $500 scholarships. We simply ask for a 500-word essay that clearly answers the prompt below. Each year on March 18th and September 18th, Perfect Patients awards a scholarship to the author of the winning essay. Our judges will review your submission and make the selection, awarding $500 cash and publishing the winning essay on the Perfect Patients blog. See last year’s winning essay here. Include your name, address, email, phone number, current school and year of graduation in your header. Make sure your essay is an original work and uses proper grammar and punctuation. Name your submission firstname.lastname.scholarship and save it as a Word Doc (e.g., bob.jones.scholarship.doc). Attach and send your completed essay to scholarship@perfectpatients.com by one of the two annual deadlines: August 18th and April 18th. Our judges will review all submissions and choose the winning essay by September 18th and March 18th. Employees of PerfectPatients.com and related companies, as well as their immediate family members, are ineligible to participate. Scholarship is open to graduate and undergraduate students of any nationality or citizenship. By entering the PerfectPatients.com College Scholarship Contest, you grant copyright ownership of your work to Perfect Patients. All essay submissions become the property of Perfect Patients, which may be used in whole or in part, for promotional purposes. Your personal information will not be revealed or shared without your express written permission, and will be used only for the purpose of contacting you to distribute your prize. The prize is non-transferable, non-refundable and cannot be substituted or exchanged for other prizes. The decision of our judges is final. Perfect Patients is a division of Vortala Pty Ltd, a digital media company serving the online marketing needs of chiropractors and other licensed health practitioners. 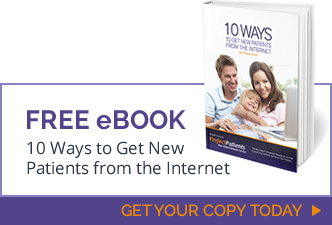 Last year our new patient website service produced 92,121 new patients for clients in the United States, Canada, United Kingdom and Australia.